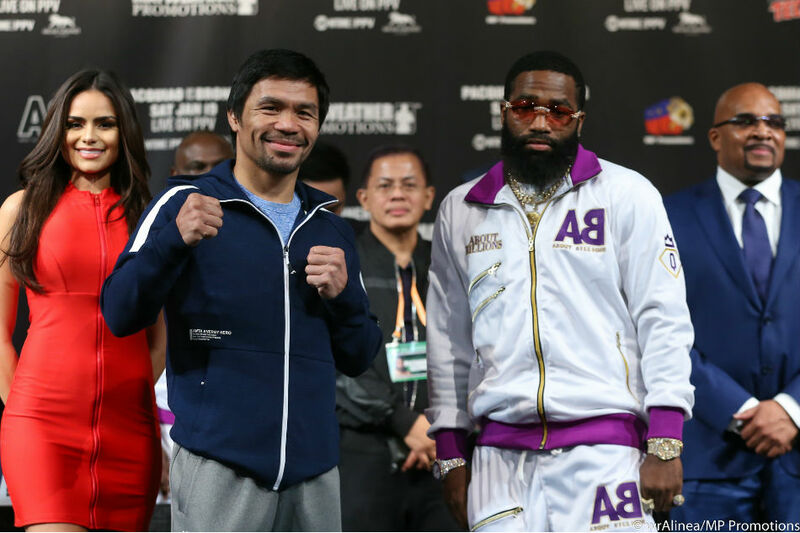 Manny Pacquiao vows to continue defying his age when he takes on a younger challenger in former 4-division champion Adrien Broner this Saturday in Las Vegas (Sunday, Manila time). The world's only 8-division champion, who will be defending his WBA welterweight strap, said he feels youthful thanks to his love for the sport. "I'm so thankful to God at the age of 40 I'm still here, I keep fighting. That's the evidence of being passionate in this sport," said the fighting senator from the Philippines. The bout, which will take place at the MGM Grand Arena in Las Vegas, is supposed to be a prelude to a lucrative rematch against Floyd Mayweather Jr.
Pacquiao wanted to get back at Mayweather after succumbing to a unanimous decision loss to the American back in 2015. But Broner, who is widely regarded as a Mayweather copycat, wants none of that. "You all keep on saying he's going to fight Floyd again... but it's cool. I don't duck no fight," he said. Nicknamed "The Problem," Broner promised to give Pacquiao problems in the ring. "I just want you all to know that I play a lot. But when that bell rings, I ain't going there to lose, I ain't going to lay down. I'm coming in to get this victory," said Broner. His coach, Kevin Cunningham, agreed. "AB (Broner) will put on a spectacular performance on Saturday night. 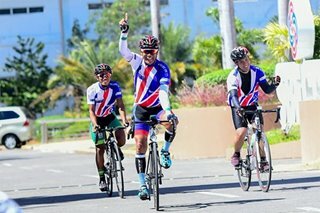 And I guarantee that he will send Manny back beltless," he said. Like most pundits, boxing analyst-promoter Sampson Lewkowicz believes Pacquiao will come out victorious against Broner. But he does not think that the Filipino will be able to duplicate his knockout win on Lucas Matthysse when he takes on the granite-chinned American. "I have no doubt that Manny flew all the way through and he'll win the fight by decision," he said. "I don't believe he will [win by knockout]. He will have a great warrior [in front of him] that will not give up and will go all the way."